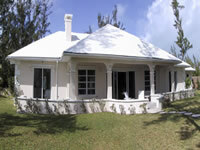 Pineapple Fields is a 1 and 2-bedroom Hotel/Condominium located on the beautiful island of Eleuthera. Once the site of the famous Potlach Club, the hotel sits on a lush 80 acre property on the Atlantic side, and sits on 1,000 ft of beach front. And also just minutes away from the islands capital, Governors Harbour, and the international airport. The hotel was created in the spirit of its superb surroundings, fading into the contours of the dunes , the colours of the beach and the lush vegetation surrounding it. Pineapple Fields is a place to fall in love with. The friendly people and the superb service and accomodations will ensure that once you come and experience all that Pineapple Fields has to offer, you will want to stay...forever.